Many homeowners would like to install tile roofing, but end up choosing other materials due to the complex installation process required for tile due to the material’s heavy weight. Enter composite tiles, which deliver the visual appeal of genuine tile roofing but without the difficult installation. In today’s post, Sterling Exteriors, a top outdoor living construction company, discusses the wide-ranging benefits of composite tiles. Composite roof tiles mimic the look of traditional tile materials such as concrete and clay, but without the costly installation and onerous maintenance requirements. You can now enjoy the authentic architectural look of tile at a lower price and without all the hassle. Composite tiles are highly resistant to wind-driven rain, fire, impact and fading. These features will benefit any homeowner living in an area prone to wind-driven rain. Strong and durable, composite tile performs well for decades even when regularly exposed to severe weather and extreme temperatures. Since composite tiles are made from synthetic materials and recycled matter, they’re more affordable than traditional tiles. With the money you save on your composite tile roofing system, you can also begin to budget for a siding replacement. In addition to having fantastic features, composite tiles are recyclable, making them one of the most environmentally sustainable roofing materials. By opting for composite tile roofing, you’ll effectively divert roof waste away from landfills and reduce your carbon footprint. 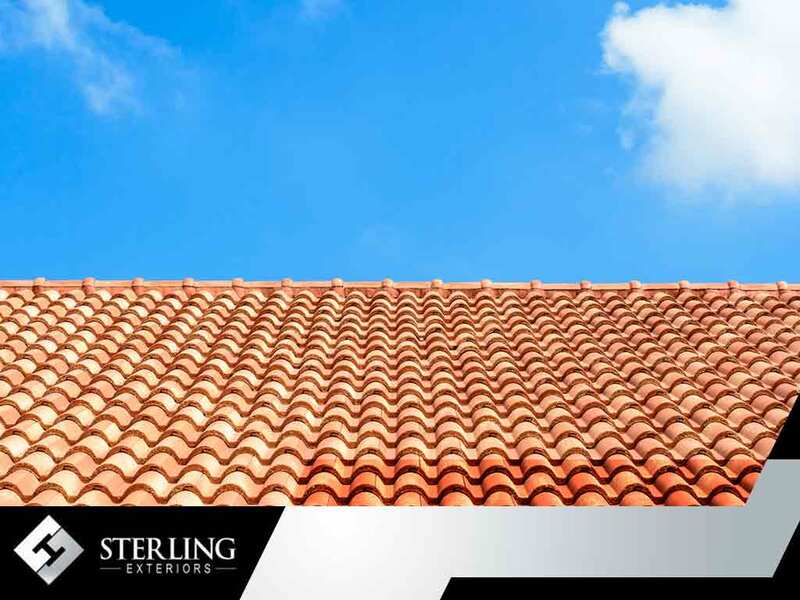 Sterling Exteriors, a leading local roof repair company, offers quality composite tiles for your roof replacement project. Learn more about what we can do for your roof by calling us at (513) 322-4777 for more information. You can also fill out our contact form to receive a free project quote. We serve homeowners in Milford, Newton and Anderson, OH. We look forward to working with you.